Although they are late to the game, I'm looking forward to their Dark Ages releases. Probably in for a box of each…maybe more. These look very promising, I look forward to see them when they're finished. I'll be in for at least a box. I hope that they mix well with my GB Vikings. Generally I prefer metal, but yeah I'll likely pick up a box as these do look good. Where are the horns?! ;) Oh, and fur! (just like the olde Prince Valiant movie with Robert Wagner released in 1954 (when everyone in the world had USA accents). Seriously though, these figures look pretty good. Steve will make a killing on shield decals! Glad you like them too my friend!. The photo on the Victrix FB page shows only figures in close-fitting leggings. 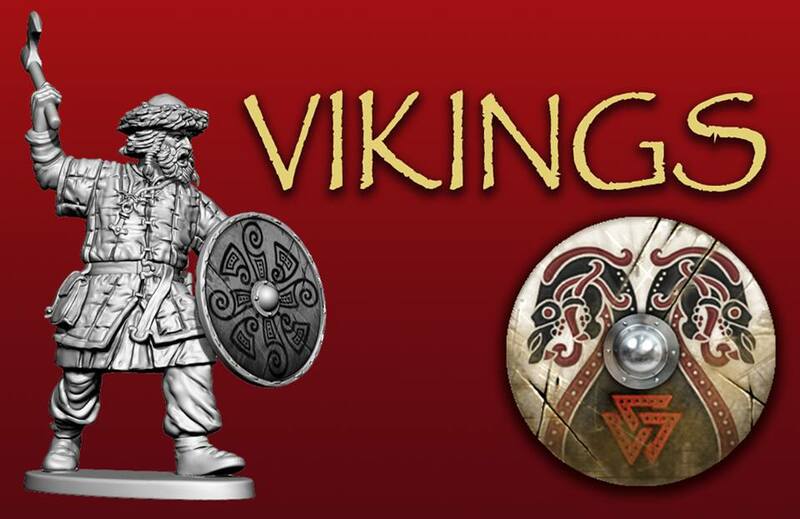 All the figures depicted are in dynamic action poses, so they won't combine well with the static, shieldwall GB Vikings. 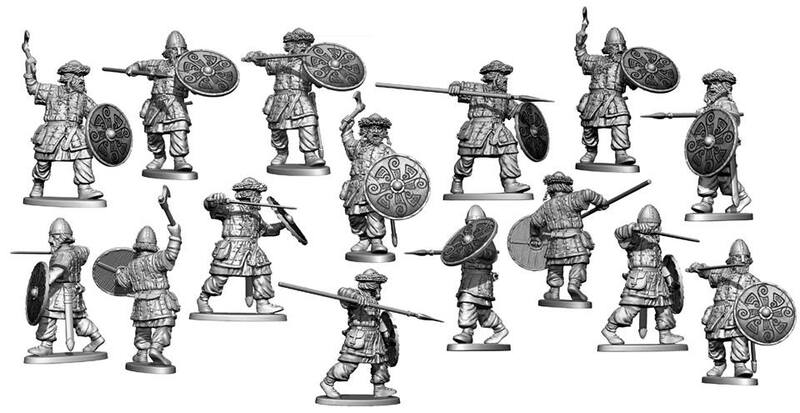 However, they should mix well with the Dark Age Warriors set.